Its as simple as that The difference between PRECODING and PROGRAMMING the transponder. Basically it works like this, before the chip can be successfully PROGRAMMED it needs to be specially PREPARED first, when you prepare the chip this is called PRECODING the chip. Hands Free 3 buttons (no hole) PCF7936+ rf board. Most important part inside of card (normal) is transponder- usually PCF7947 that can be programmed just once. So you CAN NOT PROGRAM IT MORE THAN ONCE OR/AND MAKE IT WORKS WITH OTHER CAR THAN IT WAS PROGRAMMED!! If you open "used" card, replace transponder, solder it to the board, precode it (or buy precoded), then card become "new" and can be programmed with car. I have re-used many second hand cards. First cut card apart with a sharp stanley knife. (mind your fingers) then remember which way up the pcf7946 eeprom goes. de-solder old pcf7946 and re-solder new. All new pcf7946 are in password manchester mode. Only re-prog car on a zed bull or fvdi avdi if you want the card to be in cipher mode. What tool can precode new chip? Zed-bull clone can? Or other tool? I have 2 used megane 3 button cards. And also bought one new card from Renault. At least the person who I bought told me it was new and never programmed. I try to read with ZedBull all the 3 card. The 2 used cards I can´t read them. It always say "No transponder" or "Could not read chip" depending or card position. Is this normal ? than you take your Modell , look for the right IC and Start.! Important you must do this After change the Chip and before you learn it to the Car. After replacing the transponder PCF7947 need to be precoding remote control to work properly. You can do this with expensive equipment - TP2, Tango, or the original ZedBull. But I found a way how to do it with ZedBull cloned. 1. PCF7947 new mount in the card. Then go to HITAG2 buton in Zed Bull software. 2. In the menu select PCF7946 and press the button: "READ ALL PAGES"
3. In section "TRANSPONDER " in the third page, change the bytes as shown in the picture. 4. The same way you do in the "REMONTE" section. 6. The card is ready to be programmed in the car. 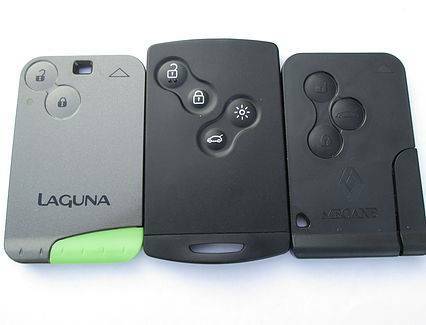 Its a good idea to make sure you have a fully working spare remote keycard. 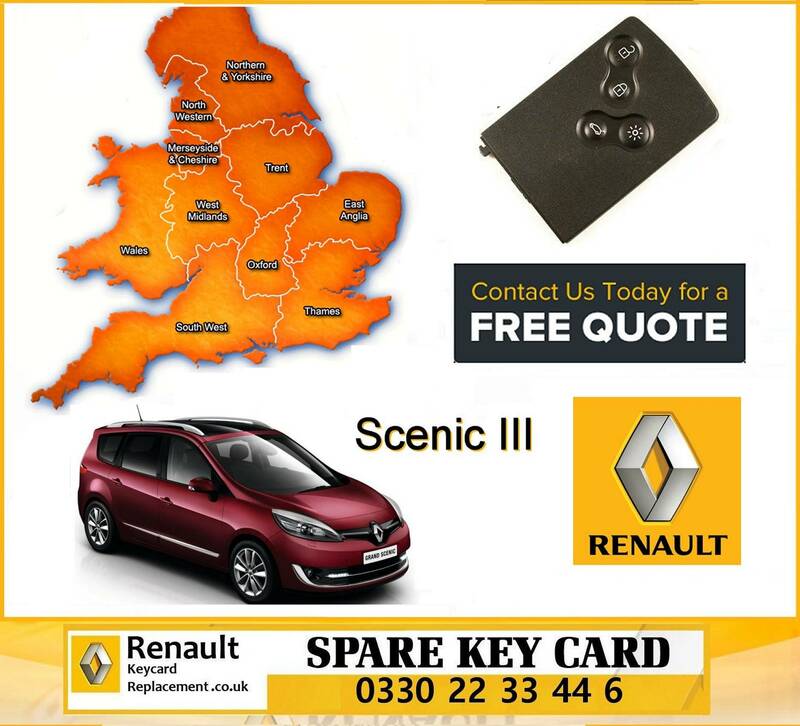 Renault key cards are a great idea but they are easily damaged by dropping them, slamming them in car doors, sitting down with them in your pocket, dropping them in water, and from general wear & tear. Are you intermittently getting a "CARD NOT DETECTED" or "PLEASE INSERT CARD" message followed by non start of your vehicle? This is a sign that your key card is failing and it's just a matter of time before it fails completely. Price includes programming to your car. My cards/keys are fully guaranteed for 12 Months against any manufacturing defects. I will need to see your car in order to perform the programming procedure. Listing price includes me travelling within a 5mile radius of OL165NT. If you are further afield then a small additional call out fee may apply. Dealer price is around £200+Vat, then you have to wait approx. 2 weeks for the new card to arrive plus have the car recovered to them (if unable to start vehicle). Avoid all the possible stress and hastle by ensuring that you have a spare. 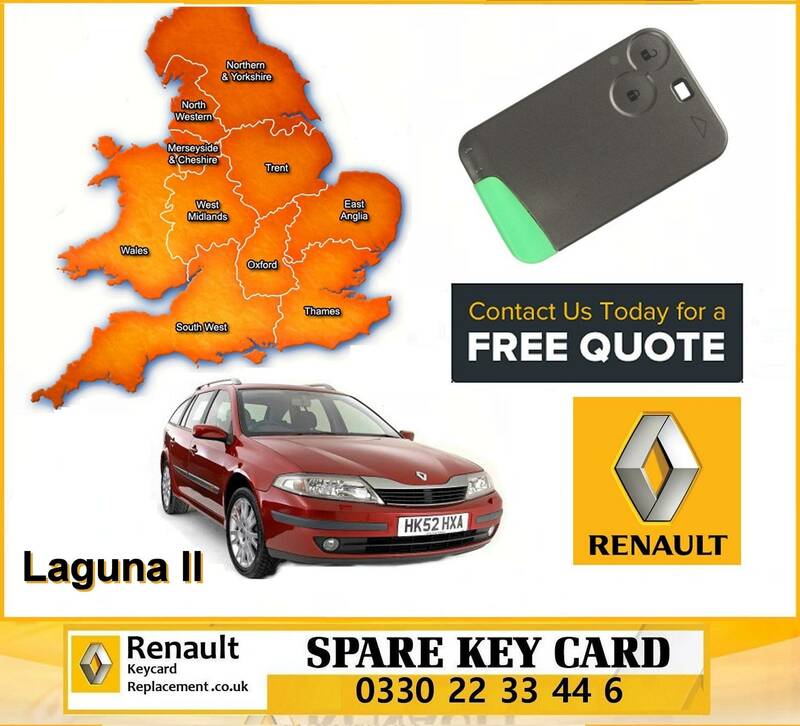 Renault key prog ,allow you to add a blank key or card for many of NEW Renault and Nissan cars via OBD-2 socket. You DO NOT NEED any PIN code! Software would program keys/cards AUTOMATICALLY. 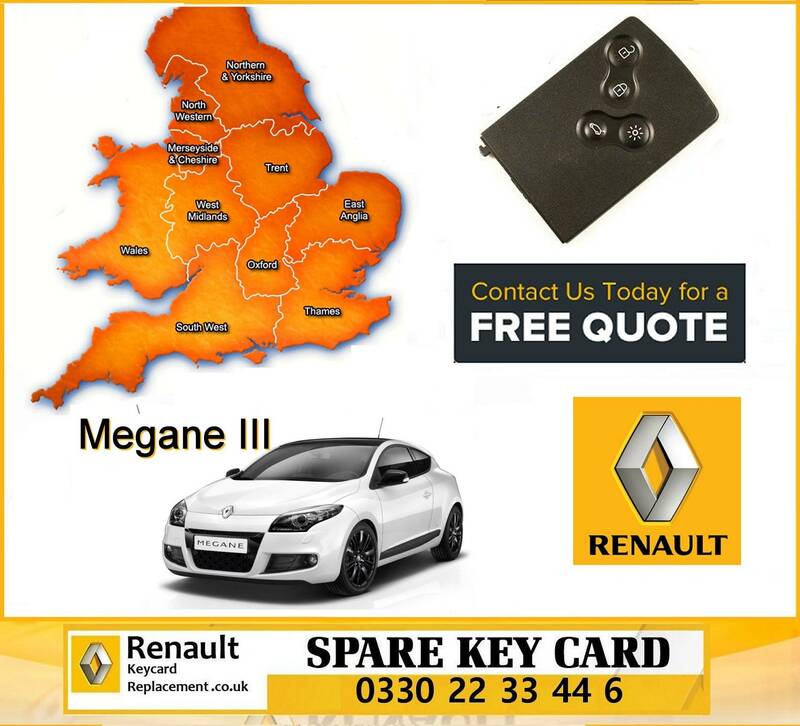 it is for Renault and Nissan based vehicles using HITAG-2 keys/cards - with the 12 character pincode. Our service Includes the following. 1) Card Not Detected fault repaired. 2) Replace Card Battery fault repaired. 2) Replacement of all micro switch buttons. 3) New high power lithium battery fitted. 4) Any circuity faults fully rectified. 8) All faults repaired or your money back guaranteed. 9) Your card buttons will click and work like brand new. 10) Your card will once again start your car, and open the doors.